Winter Care and Winter Beauty Products for Your Skin: Get Your Glow Back! In other countries perhaps winter and cold weather is mostly always there. But in India when winter comes, everyone likes it. We can eat more and wear more but about one thing you have to care more; and it is your skin. In winter, skin gets dry, flaky and dreary and little bit broken, in pieces it feels like a broken glass. If you don’t want to feel skin like a broken glass, then you have to care about it extra because no one wants to look dry in wedding. If you go with this look, your photos won’t come beautiful. So in coming time if you are going to have winter wedding, then you need to extra care about your skin. You should include some certain essential winter beauty care products in your routine provided your skin doesn’t look and feel harsh when you touch it and when your love of life touch it! Using these products you can maintain your skin glow. Besides all, we want to give a nectar tip, which is very much essential to maintain skin glow; and that is: drink water regularly. People drink less in winter which they should not do. Hence internal and external, from both sides you have to care. And apart from that if you are looking for such a platform where you can get all the information about verified vendors for your wedding, go nowhere else. You only need to visit Shaadidukaan, which is one of the best online wedding markets. Skin around the eyes is soft. It is delicate skin there. 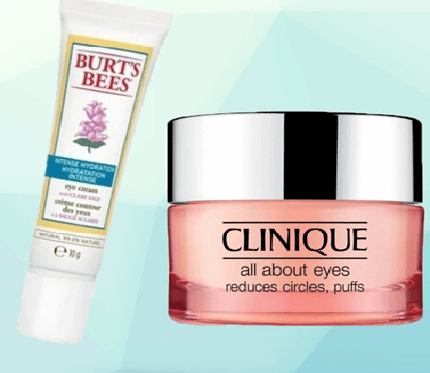 So you should use an all purpose eye cream for skin around the eyes. It helps in reducing fine lines and puffiness. Use it after moisture and daily in morning and night. If you do so, your eyes shine like glittering stars. We all know that it is our skin that doesn’t remain same all the sides. People have different types of skins so care should be according to that. Some part of face’s skin dry quickly like on forehead and around the nose area in winter. Hydrating these areas are very much necessary. A good quality moisturizer can do wonder. So while your sleep in nights, you should apply a moisturizer and get the glow back. Those who have oily skin always have the skin problems and oily skin attracts more dust particles that slowly accumulate on skin causing it harm. To get away from extra oil from your skin, you should use a toner. There are many beauty products that come with alcohol ingredients that dry out the skin. Get rid of all these and re-hydrate your oily skin with a good toner. Whether winter or sun’s rays are your enemies, you can combat all these with a hydrating serum, which keeps your skin glow intact. A good quality of serum can protect your skin from redness, sun damage and dryness. They are full with essential vitamins and nutrients. Use the one which you feel comfortable for your skin. You just should not wash your face with water only and if you say you use soap, then it is the poor choice that you have made. Using any soap dries the skin throwing the moisture out in dark. Whenever you wash your face whether in mornings or in nights, use a gentle cleanser. It soothes the skin and lowers irritation, and best way through which you can remove your makeup. Hence above mentioned are the best winter beauty products that you should use during winter that keep your skin totally hydrated giving the glow you always want. Besides, the best advice is that you should only use those beauty products with which your skin feels comfortable. And in coming month if your wedding is, you can hire a makeup artist in Bangalore that gives you the look you want for your wedding. Only hire an experienced and profession one. Bats in The House – What Do I Do?